I know I'm not the only one who finds it difficult to come up with gift ideas for the men in my life, I always struggle when it comes to buying presents for my brothers, dad and grandad. I wanted to put together a little Men's Gift Guide with something in it for every age and every budget. Okay so you may be thinking "socks? seriously?" but let me finish, these socks are Ted Baker socks and they are in a nice gift box. If you are going to buy someone the most mundane of presents at least get them ones that are in a fancy box. This Tartan Barbour Scarf and these Ted Baker Sheepskin Gloves, like the socks, are a bit more practical because they will keep you warm and cosy but they are also quite stylish. To be honest, I love this scarf and I will totally be adding it to my Christmas list! The Ted Baker Notebook and Dubarry Leather Wallet were chosen inspired by the men in my life. I know a few guys who carry around notebooks to write down ideas at a moment's notice and what better to store you thoughts in than this graphic fly print sturdy notebook. I've also seen way too many wallets that are falling apart so this durable walnut leather wallet would be the perfect gift for someone who is constantly losing change from all the holes in their wallet. Lastly, another gift I would also love to receive is this Joules Hip Flask with tweed and leather trim. It would be the perfect gift for any wannabe Don Draper. So what do you think of my picks? Have you any ideas for gifts for men? *** This post was written on behalf of Number Eight Clothing. Yeah donnacha badly needs a new wallet but he's so picky about the kind of wallet he wants so I think this one is pretty nice! Thank you for posting this! 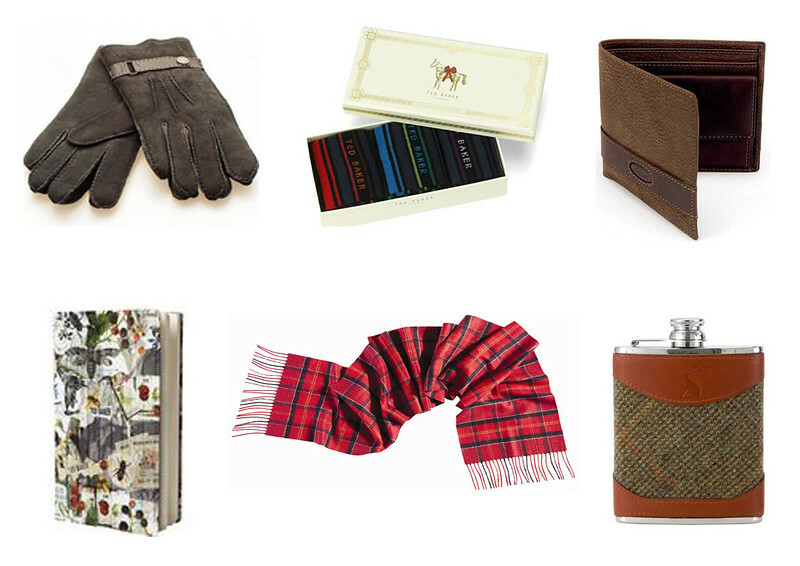 There can never be enough gift guides for men. I agree, I hope this helps! Not only are these great for me, but heck, I'd gladly take them! I totally agree! I kinda want them all for myself!